This tuturial explains how to build application without using the pro edition of Unity3d editor, wich integrates buildpipeline functionalities. Simply by using command line script. So create a new project. 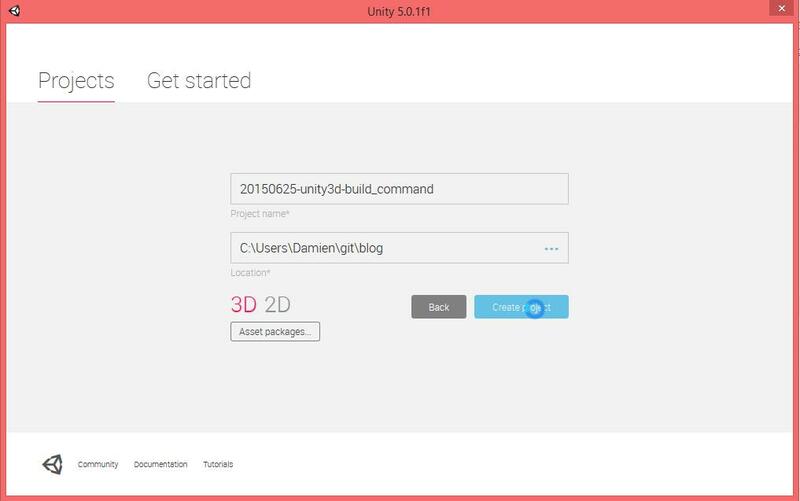 Step 2 : Close Unity3d ! 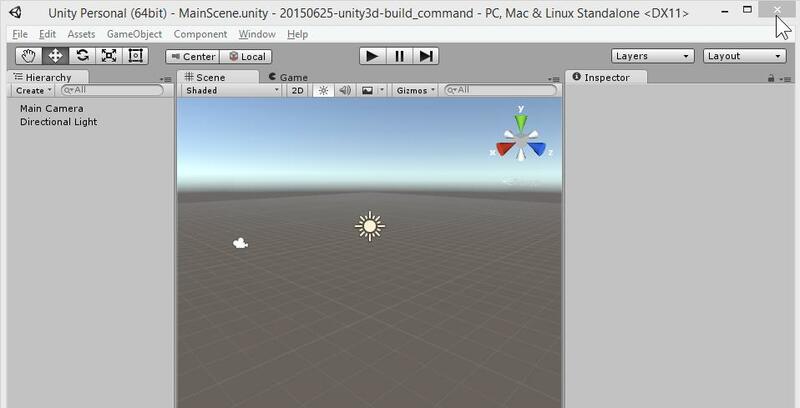 This an important step because Unity3d only allows a single running instance of Unity3d. 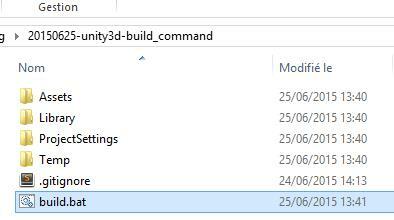 Create a new file named build.bat at the project root folder, next to Assets folder. 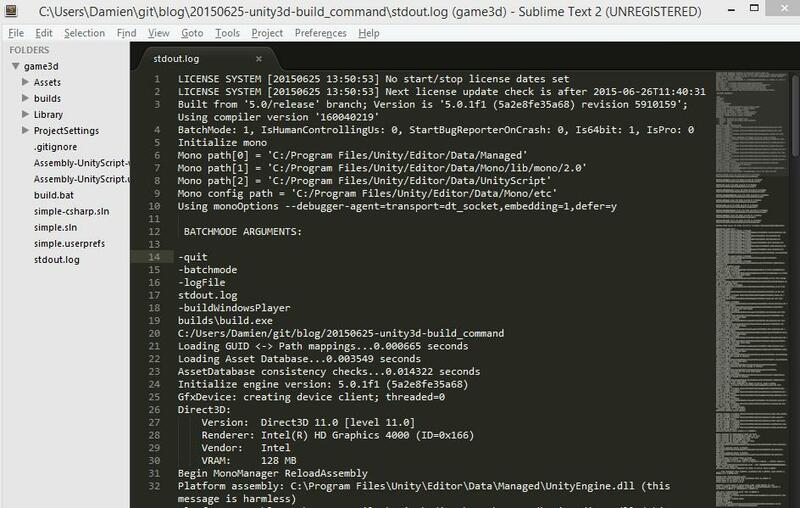 "C:\Program Files\Unity\Editor\Unity.exe" -quit -batchmode  -logFile stdout.log -buildWindowsPlayer "builds\build.exe"
Launch build.bat via command line for console output result, or just click on build.bat. After a while (30 sec), the window closes itself. The build is finished ! Go open the newly created build folder. It contains your game executable. The game launcher appears. Click on Play! Build console output is in stdout.log file, next to build.bat file. 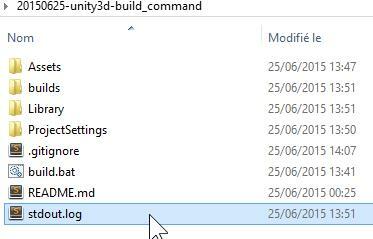 Unity3d needs to link your project folder. 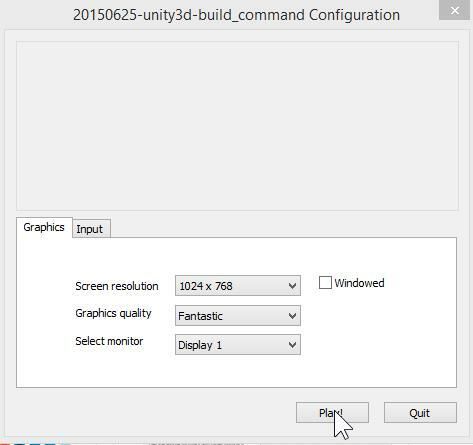 Then you need to open your project with Unity3d a first time before building it by command line. 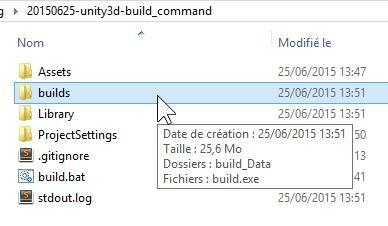 For duplicate or moved project folder, you’ll need to reopen the folder with unity3d. 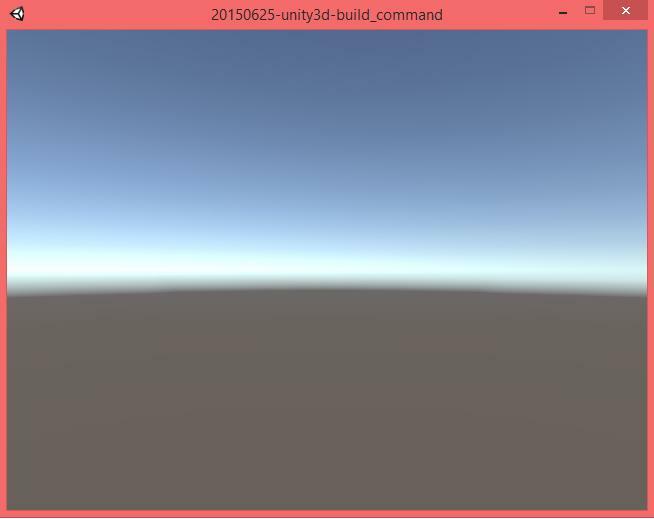 This approach is more developper friendly than the unity3d IDE. You can use your own text editor like SublimeText and build with an automatic task. Unity3d web site is poorly documented on this usage.